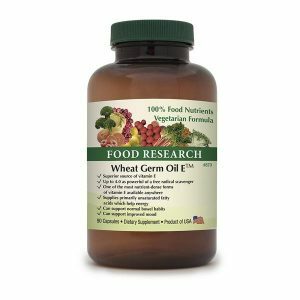 Catalyn VS Vitamin-Mineral – Doctors Research, Inc.
Standard Process Laboratories produces a popular product called Catalyn®. 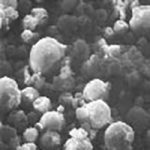 Catalyn® Contains Six Chemical Vitamin Additives and Three Processed Rocks (Catalyn®, Product Bulletins, 1953) and three processed rocks (mineral salts). 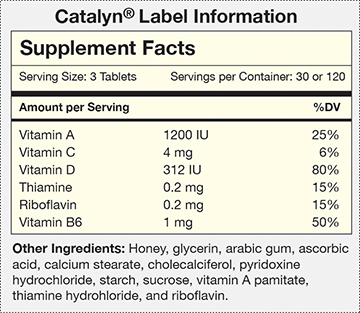 A careful reading of the label shows that Catalyn® contains vitamin isolates as the primary source of each of the claimed nutrients. While Catalyn® does contain carrots, that is not the source of the 1200 IU of vitamin A. The label shows that Catalyn® contains the USP isolate vitamin A palmitate, which is presumably where most, if not all, the 1200 of vitamin A comes from (carrots provide betacarotene, not palmitate). Dr. Lee felt it was not honest to use the name ‘vitamin C’ for ascorbic acid. That term ‘should be reserved for the vitamin C COMPLEX’ (DeCava, J. The Lee Philosophy-Part II. Nutrition News and Views 2003;7(1):1-6). “The synthetic forms of vitamin D have been found to be toxic” (Lee R. Vitamin D Complex. Lee Foundation for Nutritional Research, Milwaukee, circa 1950). Catalyn® contains USP thiamine hydrochloride which is presumably the source of its thiamine. 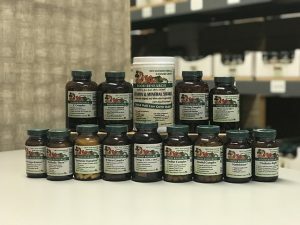 This seems strange as Dr. Royal Lee specifically wrote against isolated and synthetic forms of vitamins, but they are in Catalyn® (Lee R. How and Why are Synthetic Poisons Sold as Iimitations of Natural Foods and Drugs, 1948). Thiamine hydrochloride is not what is naturally found in food and it is not a food, but a USP isolate. Catalyn® contains riboflavin as an isolated ingredient. Riboflavin does not exist in foods so isolated. Catalyn® contains USP pyridoxine hydrochloride which is presumably the source of its vitamin B6. Pyridoxine hydrochloride is crystalline in structure and is generally made from petroleum and hydrochloric acid and processed with formaldehyde (Hui JH. Encyclopedia of Food Science and Technology. John Wiley, New York, 1992). 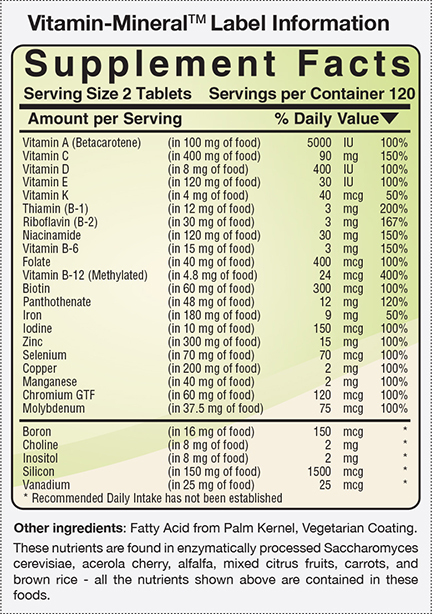 ALL THE CLAIMED NUTRITIONAL SUPPLEMENT FACTS FOR CATALYN® ARE FOR ISOLATED SUBSTANCES THAT HUMANS WOULD NOT NATURALLY EAT. Now, while it is claimed that Catalyn® is a source of minerals, no mineral claims are on the Supplement Facts section of its label. Hence, we would not categorize it as a complete source of minerals. And since it only lists six vitamins, we would not categorize it as a complete source of vitamins. Catalyn®’s supplement label simply does not have all the vitamins or all the minerals that are essential for human beings. As far as minerals go, further research on the label reveals that it contains magnesium citrate, which is, in essence, an industrially-processed rock mineral salt. It is therapeutically used as a cathartic (The Merck Index, 12th edition, 1996, p, 5707). A cathartic is a purgative substance. Catalyn® also contains calcium lactate, which is also used as “a preservative in foods” (The Merck Index, 12th edition, 1996, p, 1716). Food nutrients, such as are in Vitamin-Mineral™ are superior. * Standard Process and Catalyn are registered trademarks of Standard Process Laboratories. Food Research produces Vitamin-Mineral™ which we believe is superior to Catalyn®. 1) Vitamin-Mineral™ is much more complete as it contains all vitamins considered essential for humans and is a source of 11 essential minerals. 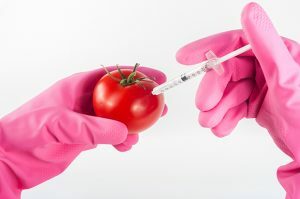 2) All Vitamin-Mineral™ nutrients are in the same chemical forms as food which makes them better absorbed, utilized and retained by the human body (Medical Hypotheses, 2000; 55(6):461-469). 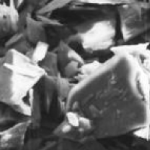 3) Vitamin-Mineral™ is not a combination of foods and USP isolates, as in Catalyn®. * These studies may not conform to peer review standards. Therefore the results are not conclusive. Published research has concluded that food vitamins are superior to USP ones. Vitamin-Mineral™ is superior to Catalyn®. While Catalyn® is a fine product for those who want what looks like USP isolates mixed in with foods, for optimal health, we recommend Vitamin-Mineral™. Discerning health care professionals across the USA carry Vitamin-Mineral™ and other 100% food nutrient supplements. If you are a health care professional interested in food nutrients, call 1-805-489-7185 for more information. 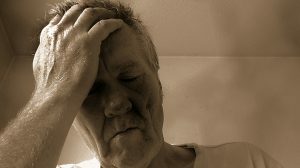 If you are not a health care professional, please share this article with yours. If he or she is interested in 100% food nutrient supplements, we would be happy to provide them.